Click on the main pictures for articles, videos, and links. Tusq saddles ring like glass and seems to promote a fuller spectrum of tones. Similar to a master quality Top or a set of Brazilian rosewood, a saddle needs to ring, not "thud". This video demonstrates why I use TUSQ saddles as standard on all my instruments unless asked. It is also of consistent density, making it especially perfect for undersaddle pickups. Bone is an excellent choice if a warmer sound is wanted, especially on a new sitka spruce top instrument which can certainly have that new 'bright' sound. Bone, Mother of Pearl and Black horn are all about the same in tone and all polish up beautifully. Nut material is far less detrimental to tone then saddles are so I use polished Bone, Mother of Pearl or Black Horn according to the customers preference. I pair Black Horn nuts with Black Tusq saddles for a consistent look. 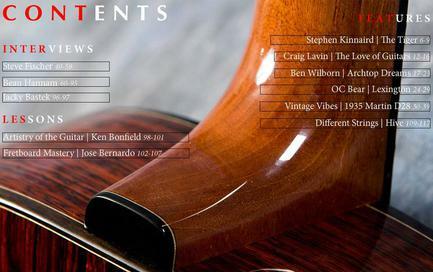 On custom builds, I can include a saddle of each material for you to decide which is best for you and your instrument. Every custom instrument receives semihemispherical fret ends by me. While being the most labour intensive fret ends to achieve, they feel the most comfortable while playing and also have the most refined look. ~ Below left is a semihemispherical fret end on the right is the industry standard simple 35 degree grind. Each headblock receives a unique wax seal in a stylised French font of the letter 'H' and my name narcissistically handwritten with dip pen and ink. 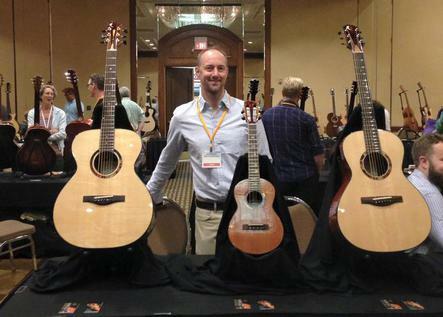 Each label is different and can be seen through the soundhole. 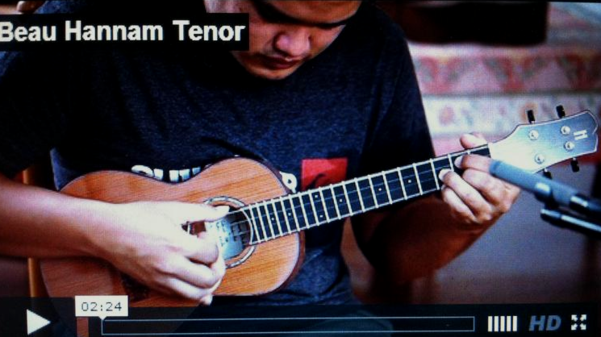 Aaron Crowell from Hawaii Music Supply reviews and plays some beautiful melodies on a custom Selmer uke. 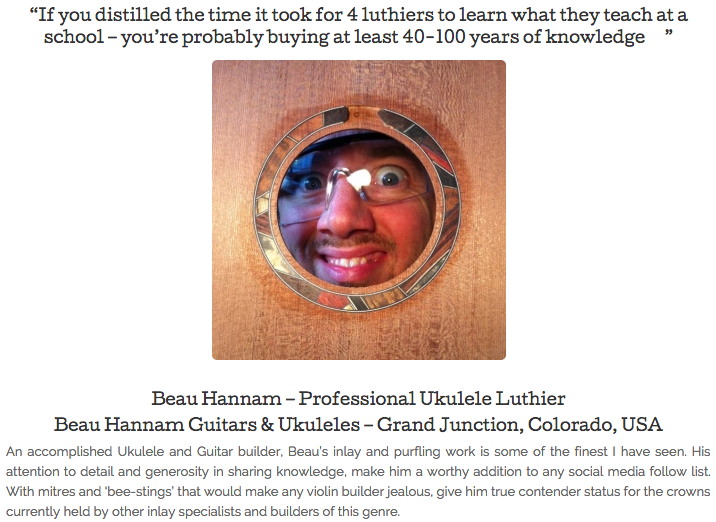 Click on the image to hear Aarons playing and read a review from the finest ukulele site in the world: The Ukulele Review. 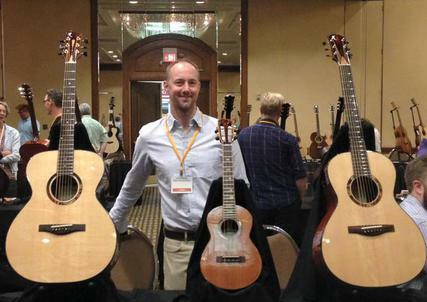 James Yorkston playing an L-00 Hannam in Tasmanian Blackwood with Sitka spruce top, and figured Queensland maple neck. Tasmanian Blackwood, Redwood top and African blackwood fingerboard. 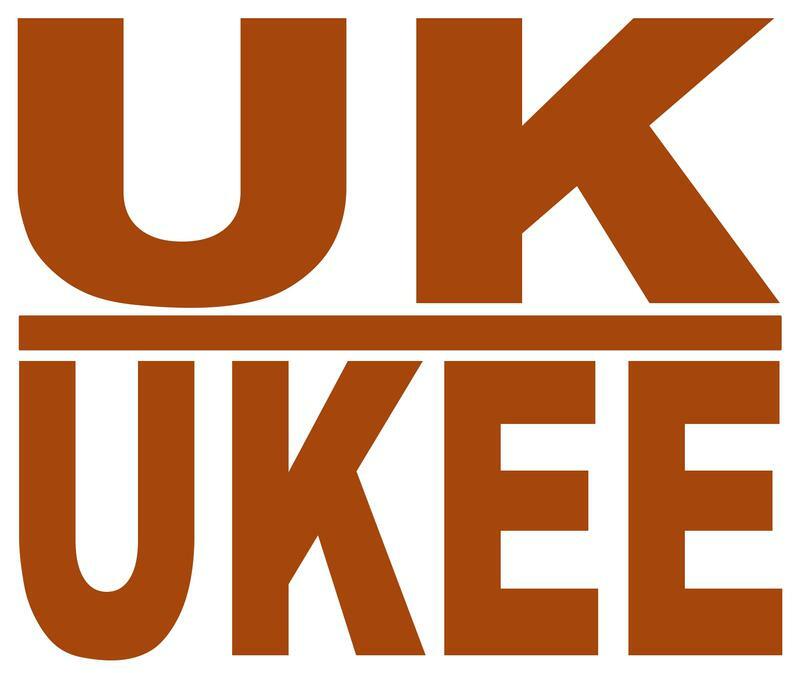 Click to hear Corey's playing & read the full review from The Ukulele Review. 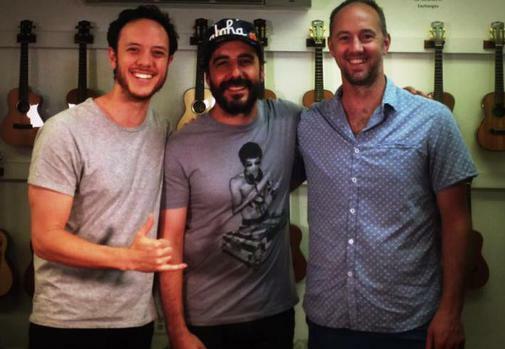 A 35 page extended interview with Guitar Bench & Ukulele Rhythms. 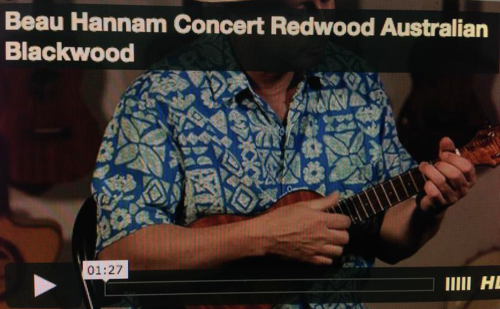 "I would confidently proclaim the tone on this ukulele to be among the best we have played in the concert size. "​ HMS. 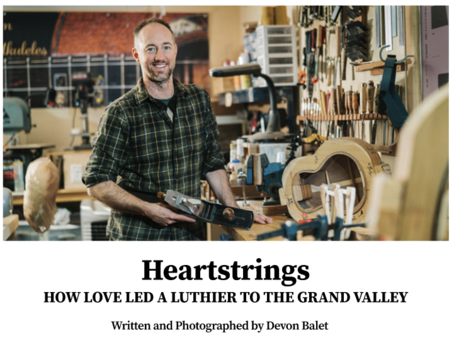 and what it means to be a luthier. 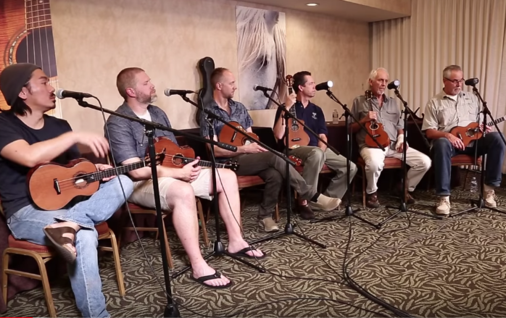 The Ukulele Review and Hawaii Music Supply. 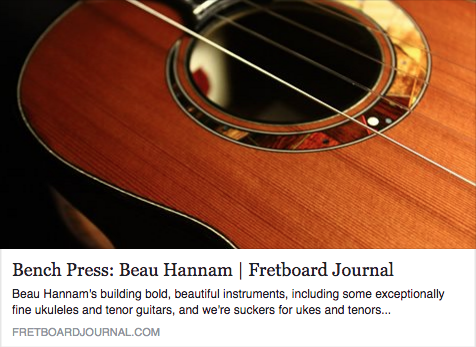 The Fretboard Journal, Jan 2017 Interview. 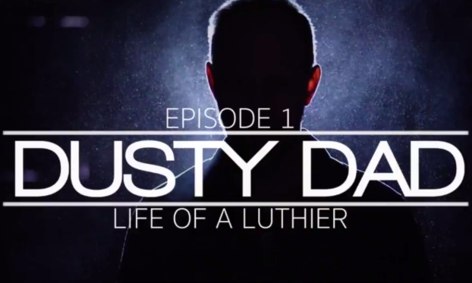 Luthiers for a Cause Video Podcast. This project raised $100,000 for children's charity in December 2017 !!! Spoke + Blossom magazine interview. Click on the picture below to read the interview. 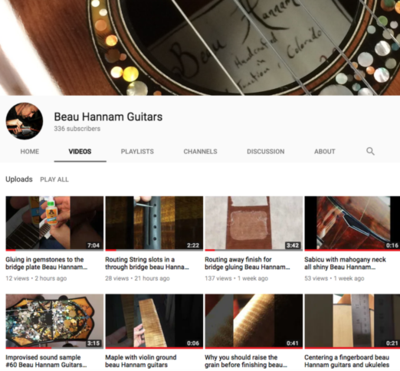 Welcome to my YouTube channel where I frequently post professional luthiery tips & sound samples of completed instruments.